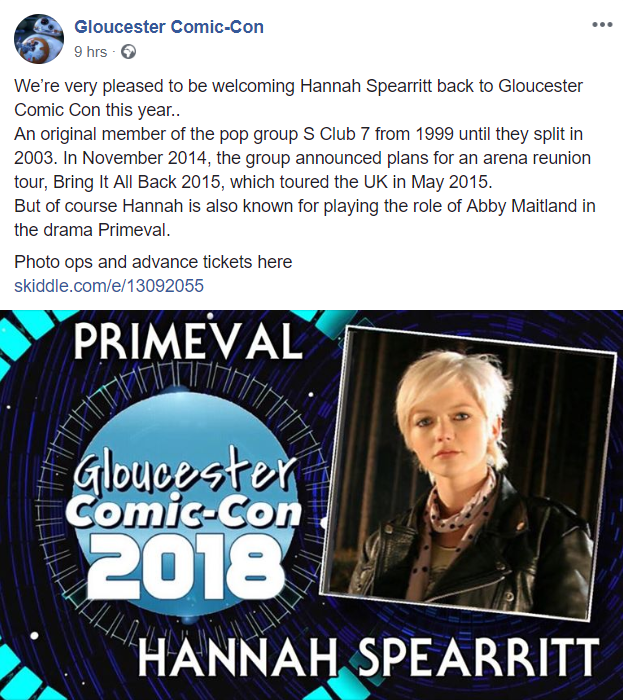 Hannah is confirmed to appear at Gloucester Comic Con on Sunday 7th October at Oxstalls Sports Park. You can find tickets, venue information and more here. Primeval fans will like to know that Andrew Lee Potts is also attending.